Gone are the days when board games were just for family get togethers during the holidays. 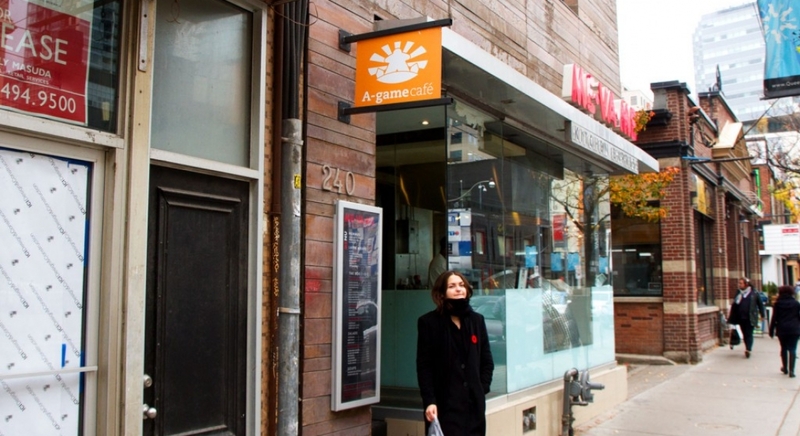 This play cafe brings happiness to Queen West with great games, delicious refreshments and friendly service. With board game meet-ups becoming increasingly popular, we suspect this cafe will attract everyone from gaming fanatics to those who just want a gentle game of Scrabble. They even have community socials and tournaments, so ask their friendly staff about how you can get involved. Feeling competitive? Whether it’s the German settlement craze Catan or saving the world from a pandemic, be sure to bring your A game to this play cafe. Visit them in downtown Toronto at 240 Queen Street West. A-Game Cafe is now offering loyalty rewards and mobile payments with SmoothPay. Use our app to pay with your phone and earn first time credits. Rewards for being a loyal customer are automatically applied to your purchase. This board game haven is offering $2 off your first visit and $6 when you spend $60. With SmoothPay, you can discover great locations across the city to get rewarded.